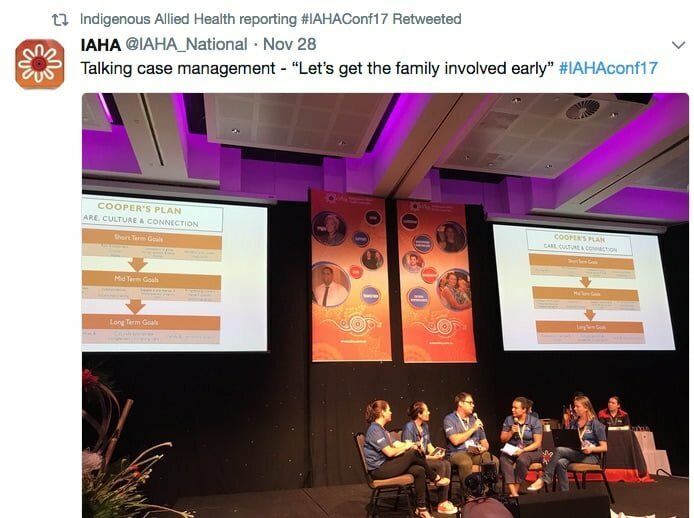 Increasing the number of Aboriginal and Torres Strait Islander people working in allied health roles is critical for improving Indigenous health. 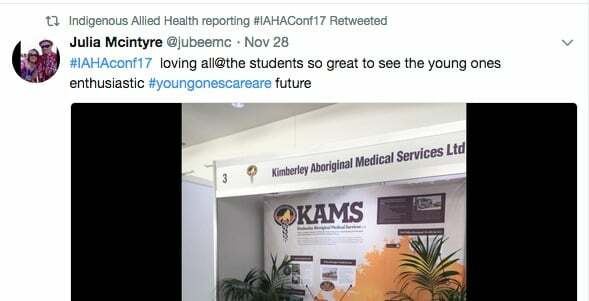 Another strong theme from the recent Indigenous Allied Health Association of Australia conference in Perth was the importance of mentoring students and young professionals. 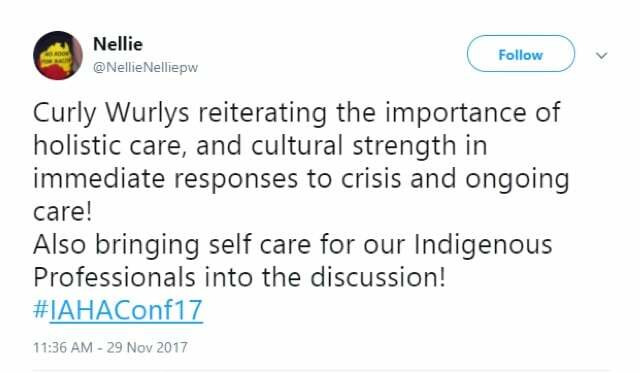 One of the outstanding features of the conference was the engagement with students and young people, with a number of conference participants commenting on social media that “our future is in good hands”. 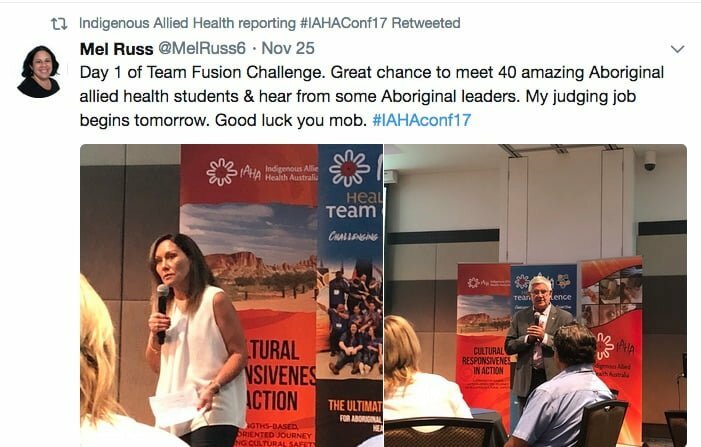 The 2017 IAHA HealthFusion Team Challenge is an excellent example of mentoring future allied health workers. 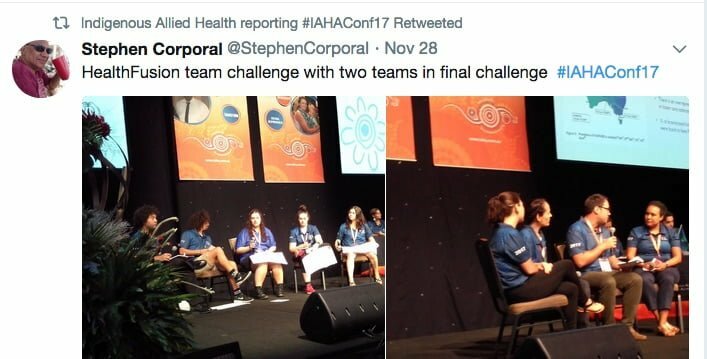 Aboriginal and Torres Strait Islander students from a range of disciplines participated in team challenges prior to the conference. 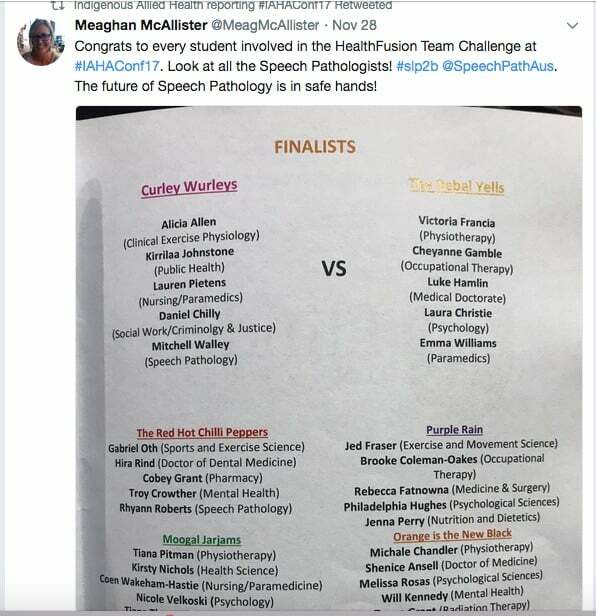 Sponsored by Flinders University NT, these team exercises matched students with mentors, and provided them with challenges through responding to complex case studies. 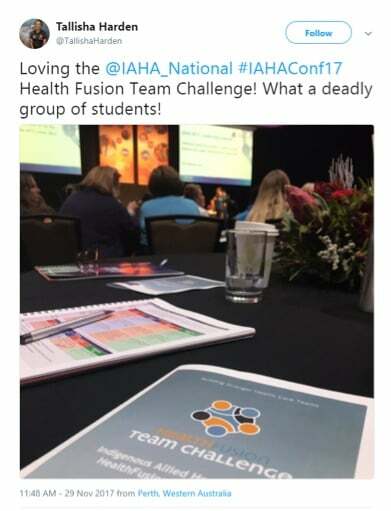 Two teams were chosen to compete in the HealthFusion Team Challenge Final Showdown on day two of the conference. 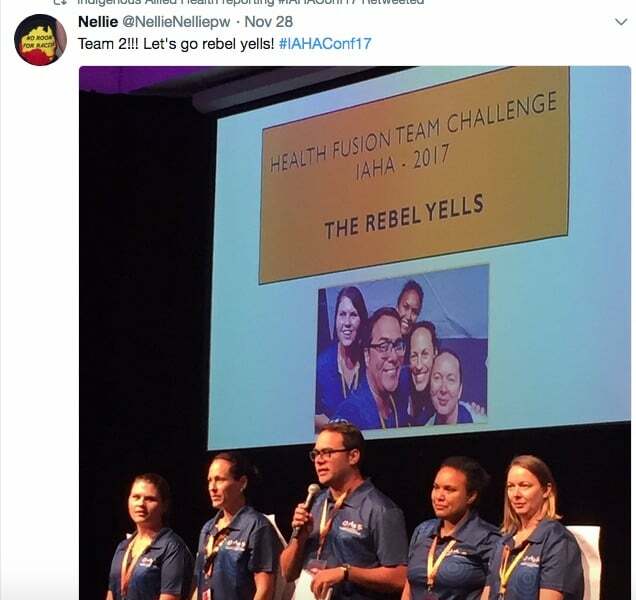 After completing a series of challenges, team Curley Wurleys and team Rebel Yells received positive feedback from the judges. In addition to team winners, a HealthFusion Team Challenge Leadership Award was given to Nicola Barker. 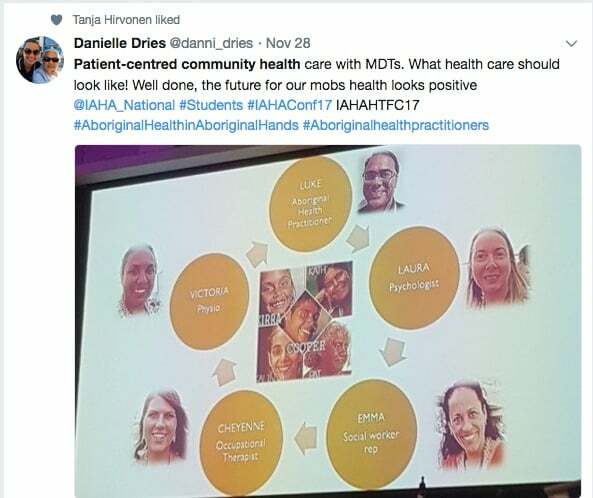 The importance of recognising the achievements of past and current leaders in Aboriginal and Torres Strait Islander health was also demonstrated throughout the conference proceedings. The presentation of awards at the Gala Dinner also recognised all stages of professional development, from students to lifetime achievers. The night commenced with a Welcome to Country by Whudjuk elder Nigel Wilkes and the Mungart Yonga Traditional Dance Group. 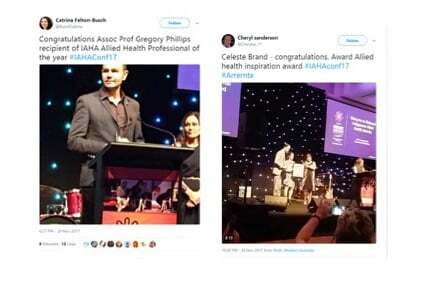 Associate Professor Gregory Phillips was awarded the Indigenous Allied Health Professional of the Year Award. 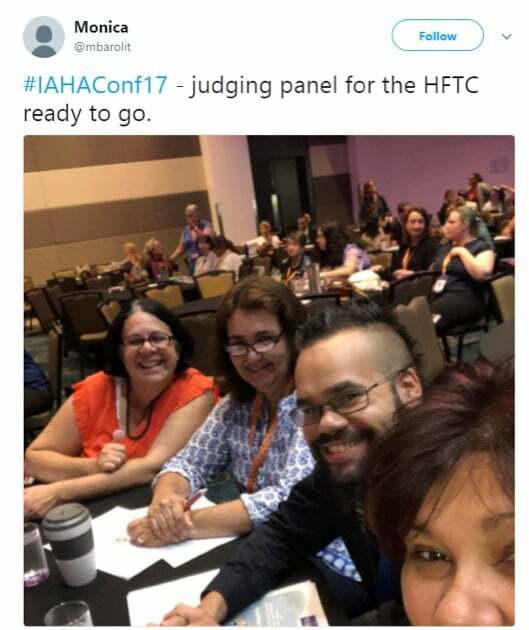 This was sponsored by Hesta. 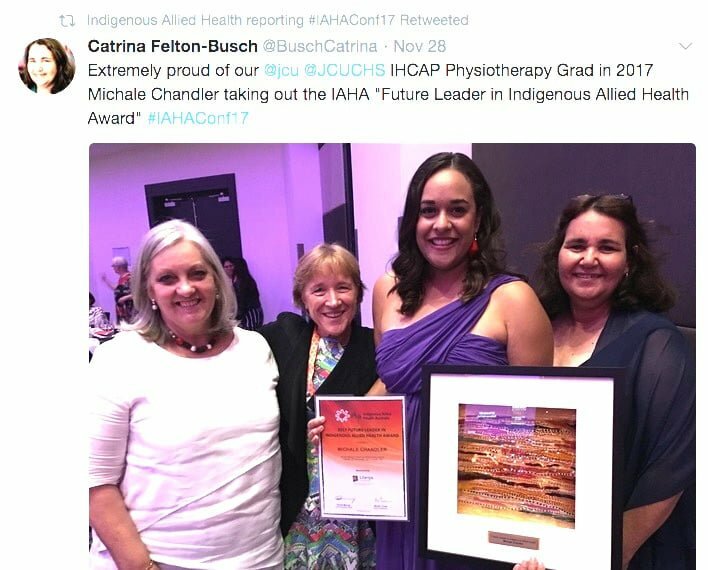 The Allied Health Inspiration Award was also sponsored by Hesta, and this year’s recipient was Celeste Brand. 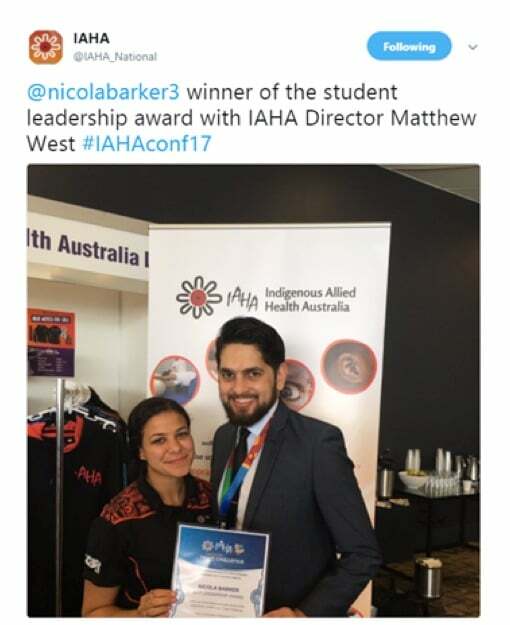 The Future Leader in Indigenous Allied Health was presented to Michale Chandler. 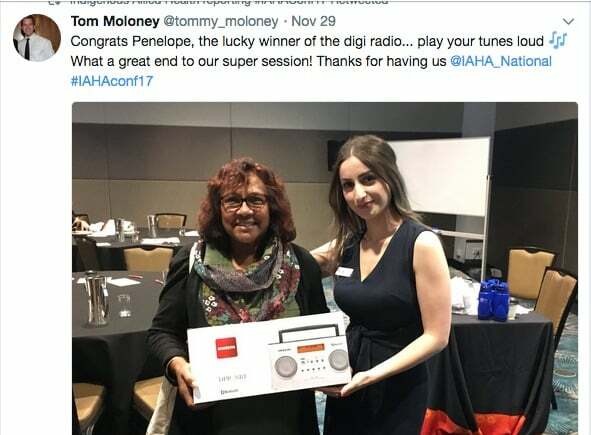 This award was sponsored by the Lowitja Institute. 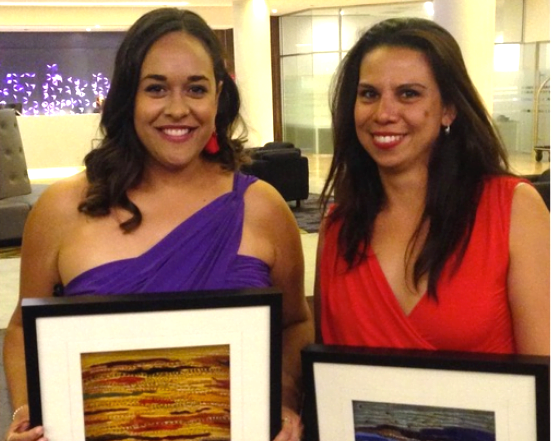 The Commitment to Indigenous Health Award, sponsored by Hesta, went to Kirsty Nichols. 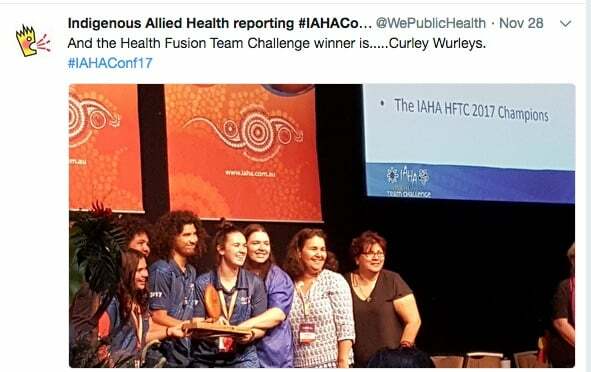 Sponsored by Mount Isa Centre for Rural and Remote Health and James Cook University, the Indigenous Allied Health Student Academic Achievement was given to Robyn Williams. 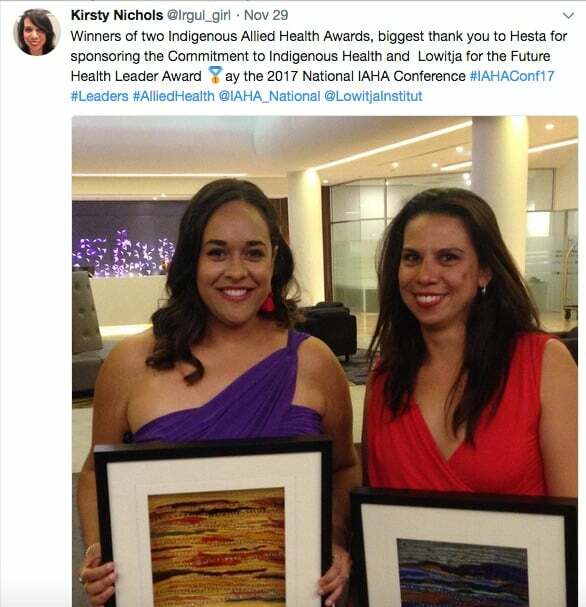 The Gala Dinner was sponsored by the National Aboriginal and Torres Strait Islander Health Worker Association – another example of Aboriginal and Torres Strait Islander health peaks supporting each other to achieve common goals.